This was another PlayStation Plus game that I got and I thought it would be fun to play with my buddies, unfortunately that didn't happen, so my comments will primarily be based on my solo experience. 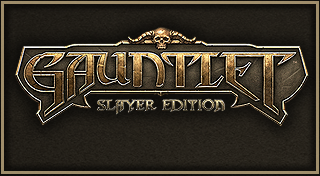 Gauntlet Slayer Edition is a re-imagining I would call it, of the original Gauntlet games in the past with some added RPG elements that make it more of a game that you can continue playing instead of the old coin sucking arcade machine games. The changes that were made are small but enhance the overall experience, changes like unlocking skills, getting better equipment makes it feel almost like a Diablo game to me. Instead of having a linear path where you play level after level, the world is broken up into a map where you pick a level, you beat it and progress to the next one. Based on how you did, you may unlock a side-path that allows you to unlock more loot which you use to buy items/skills. 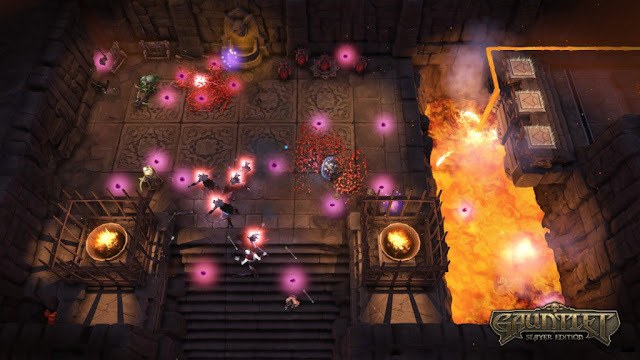 Like in Gauntlet of the past, you play as one of four character types, Warrior, Valkyrie, Elf, or Wizard with up to 3 other players for a total of 4. When you play online, there are some limitations that I found VERY bothersome but I understand why it is done. I liked to play the Elf since I was playing on my own, it was easier to play as a ranged-attack character and I was doing well, so when I tried to play online for the first time, I joined a group and unfortunately, you can only have one of each class in a party and there was already an Elf user. This meant that I could play with them, but only as another class, none of which I have played, so I would start at level 1 instead of my Elf's level. So, I would need to either play all classes equally, or hope that the class isn't in use. I imagine it may be for balancing purposes, but it was rather annoying. Similarly, your loot is kept to the class that got it, so you would need to grind out the levels all over again. Grinding, this is an issue that I have with the trophies that this game has. I don't normally take issue with how they are designed, but this one is something else. If you look at the trophy list, you will see that A LOT of the trophies are single digit percentages, meaning that they aren't easy to achieve. 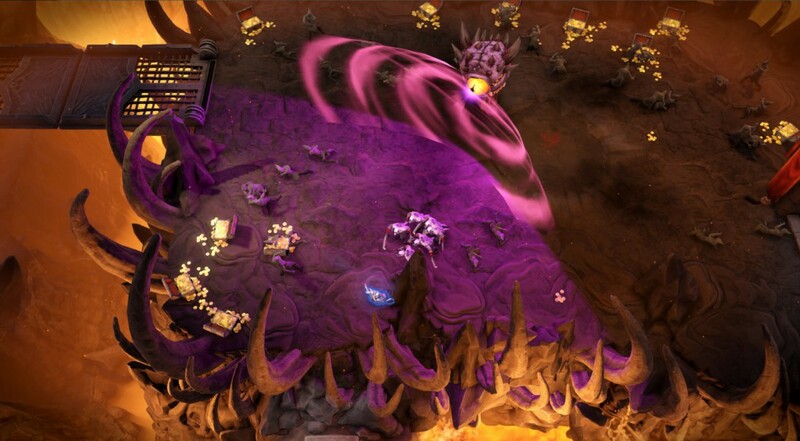 You will see why fairly easily, some trophies require that you kill 12,000 enemies in a particular way as one class. You need to repeat this for ALL FOUR classes. It simply is not a time sink that I can invest in nor will I. As a PlayStation Plus game, I have no issue with it. I can see that it would be fine to play when you play with others, however, you would need a group that works well with you and you select your class and stick with it. This made the game feel very restrictive and I guess if you can live with that, that is fine. Once you complete the game with your class, I didn't feel like there was a point to continue. There is more skills and items to buy, but there was no incentive for me to do so. I completed the game once with the elf since it was a ranged character, however I feel that it would be very difficult for me to do the same with a melee character and I'm not sure if it is worth my time to invest to try to beat the game with all characters since the loot that you pick up is character specific. 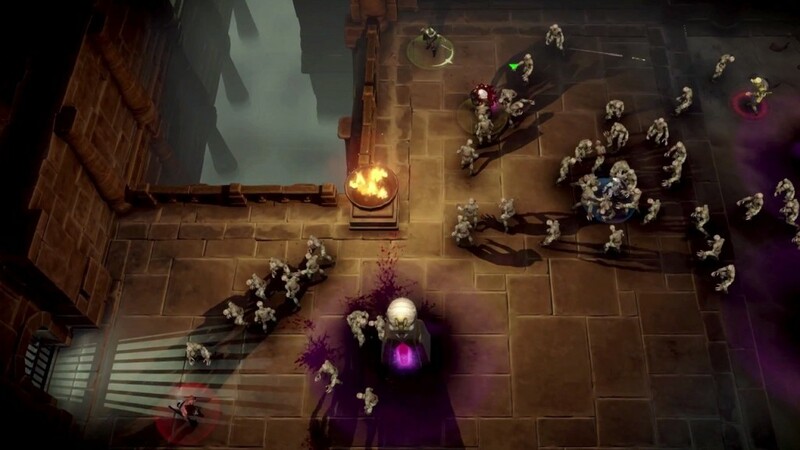 If you have a group that can commit to the game, it is a decent buy, but I would say that Diablo 3 would be a much better buy although it costs a bit more, there is just so much more to the game than Gauntlet. It was clearly made for nostalgia and that's about it. Come back next Wednesday for my Final Thoughts on GUNS UP!